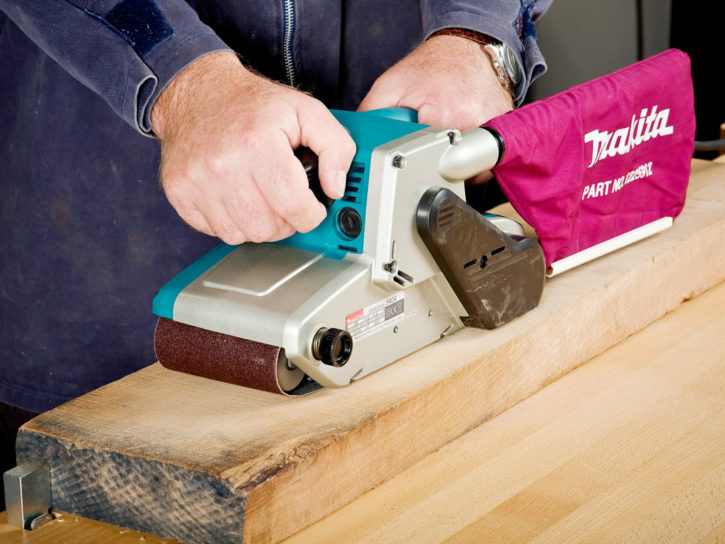 Whether you work in the trade, are an avid woodworker or an occasional do-it-yourself-er, a sander is an essential tool to have at your disposal. Sanding machines in all their forms will perform three overall tasks; shaping, smoothing and removing woodwork. But, with so many different makes and models it can be a tough decision knowing which sander is right for you. In this guide, we give you a breakdown of the variety of sanding machines we offer so that you can make an informed decision as to which one is right for you. One of the oldest styles of sanders and the first on our list is a disc sander. 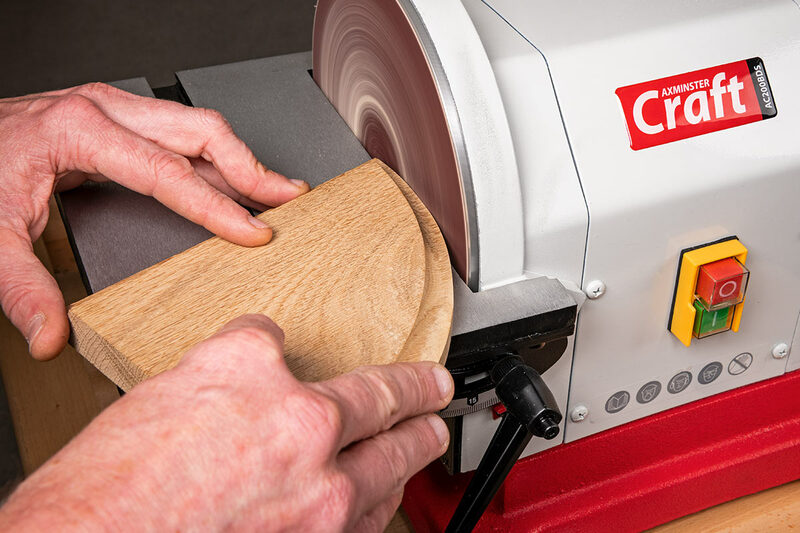 Made up of a circular abrasive paper, mounted on a circular plate; the disc sander is ideal for end grain work, shaping subtle round corners and removing large amounts of material quickly. The work is supported by a flat table which sits in front of the abrasive disc. 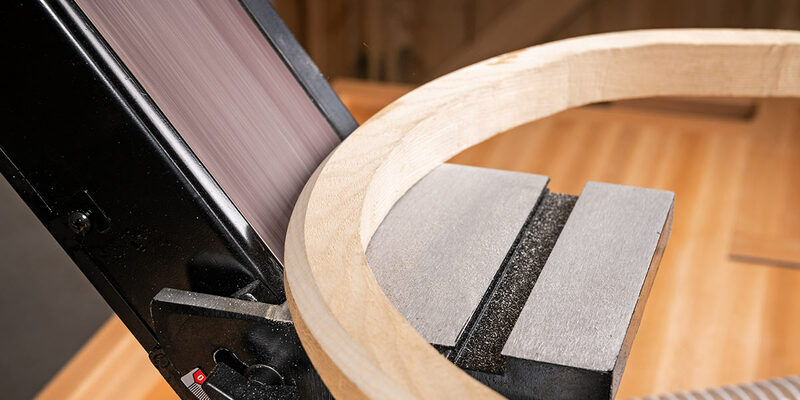 In addition, with the majority of our disc sanders, the support table features a mitre slot to enable you to achieve straight or angled end grain work. Disc sanders are great for a large variety of smaller projects and are not intended for large projects such as sanding cupboard doors. 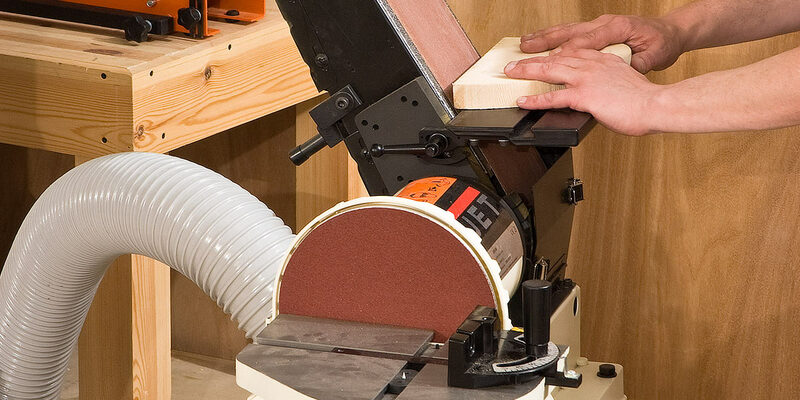 Great value for money, the Craft AC300 Disc Sander is a great addition to the craft workshop. Alongside a quiet induction motor, the sander features a cast iron body and table with a ground top surface. 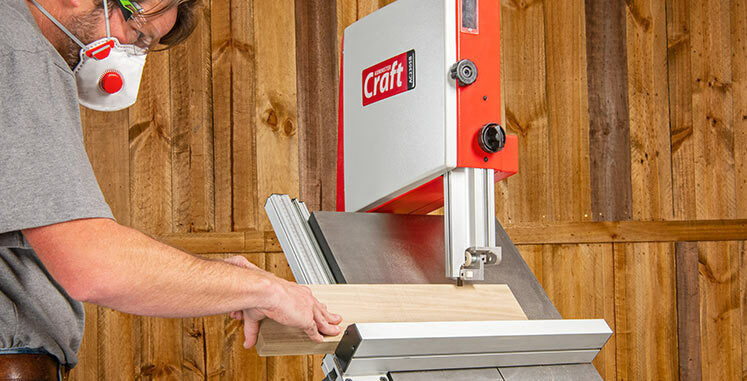 The craft sander is also supplied with a mitre fence, with two faces at 90° making it ideal for sawing mitres. A step up from the Craft sander is the Trade AT350 Disc Sander. Bench mounted like the Craft model for easy storage, this sander is made of fabricated steel construction throughout, for strength and stability whilst in use. If you’re looking to sand curves or straighten edges, a bobbin sander will give a smooth performance. Also known as a spindle sander, bobbin sanders consist of a tabletop with a sanding drum protruding through a hole in the top. This sanding drum is covered with an abrasive sleeve and the drum both rotates and oscillates whilst in use. 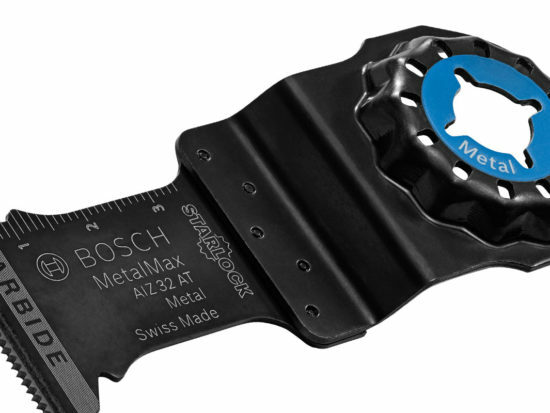 Alongside helping with the longevity of the abrasive, this up and down motion eliminates the chance of any unevenness in the abrasive, causing a consistent scratch pattern along the length of your workpiece. Ideal for handling curvy projects with ease, a bobbin sander should be the first choice if you’re sanding curved edges. The Craft AC140SS Bobbin Sander is great for crafts and small projects. The uncomplicated but sturdy machine has a cast iron table which tilts to 45°. Additionally, it includes several nylon table inserts to give a close fit around the bobbin. Both of these features enable you to undertake a variety of curved shapes and finishing tasks. Next on the list is the belt sander. With a long straight surface, belt sanders can be vertical, horizontal or can have the option of both. Popular for the trade workshops, the belt sander is much bigger in size than the bobbin and disc sander. Its long flat surface makes it ideal for flattening and levelling long pieces of timber such as panelled doors. 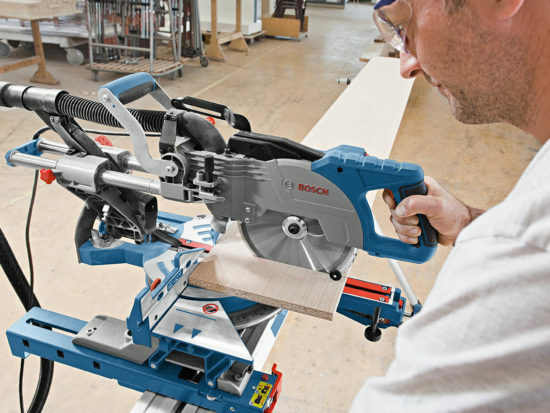 An ultra versatile model in our range is the Trade AT2260 Belt Sander. Able to sand vertically, horizontally and any angle in between; this belt sander is one of the most useful machines to have in a woodwork workshop. As well as undertaking large sanding tasks, the machine features a small sanding table ideal for curved work. Looking for a fine finish? 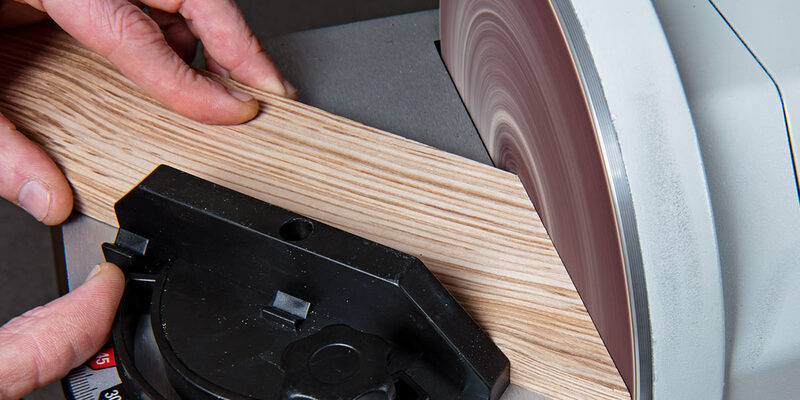 Not intended to be used as a thicknesser; the drum sander consists of an abrasive material which is spirally wound onto a rotating drum to produce a fine finish. Feeding the workpiece steadily through the machine will perfectly sand the material to correspond with the loading grit wound onto the drum. Suited to a variety of large sanding tasks, the drum sander is commonly used by furniture makers to sand table tops, doors and windows. In addition, a drum sander will also give an even finish to a jointed framework, joined panels and cabinet doors. 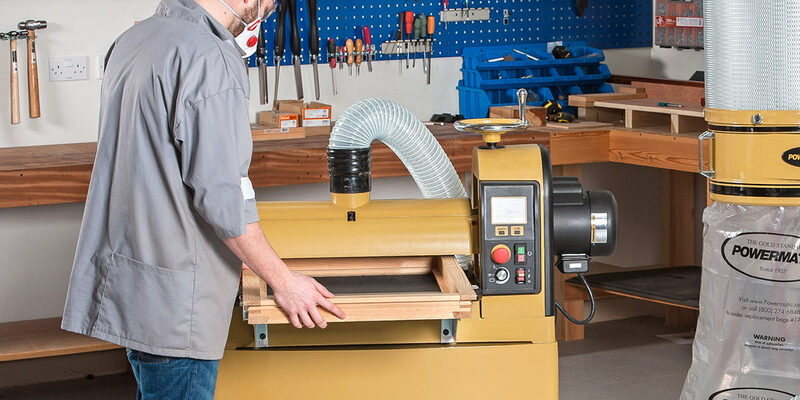 Although the initial outlay for a drum sander can be a lot, the long list of tasks the machine will undergo will soon make it worth the expense. Our great selection of drum abrasives (loadings) will ensure you get the finish you desire! A top of the range model is the Powermatic PM2244. It features an innovative LED control panel, which gives real time information on conveyor speed, sanding workload and drum height. This coupled with its sturdy frame made of cast iron sets this machine apart from any other like it on the market. 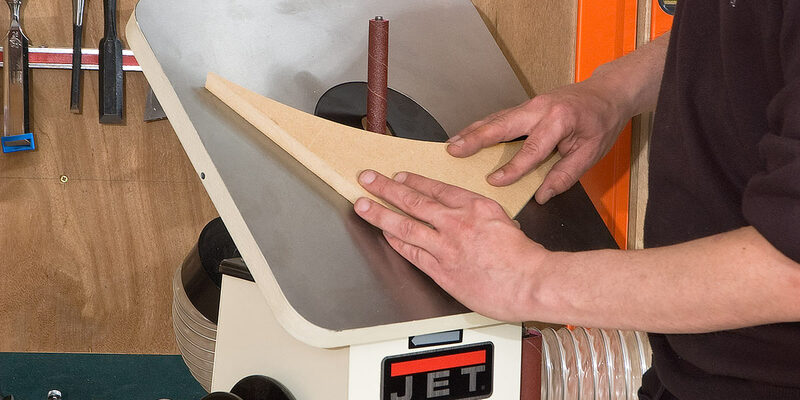 The Jet 10-20 Drum Sander is a great option for the small trade workshop where space is at a premium. The compact machine is open ended and with the work reversed it allows for material 500mm wide to be sanded up to 75mm thick. With the option to bench mount or use with the optional floor stand. To learn more about drum sanders and the benefits it will bring to your workshop why not read this informative guide. Last on the list but perhaps one of the most useful style sanders – the belt and disc. 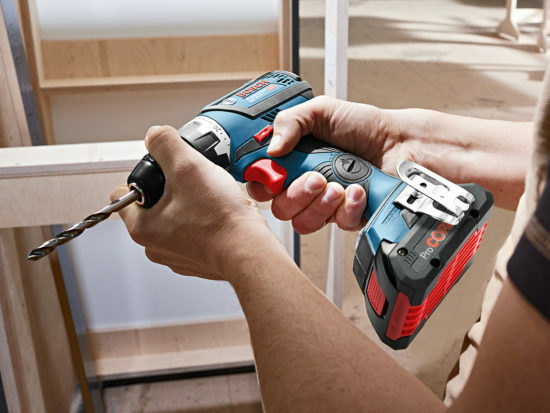 A great option for the small trade or home workshop where they won’t be used constantly. The machine combines two tools in one; it takes up minimum space whilst still enabling you to carry out a multitude of sanding tasks. 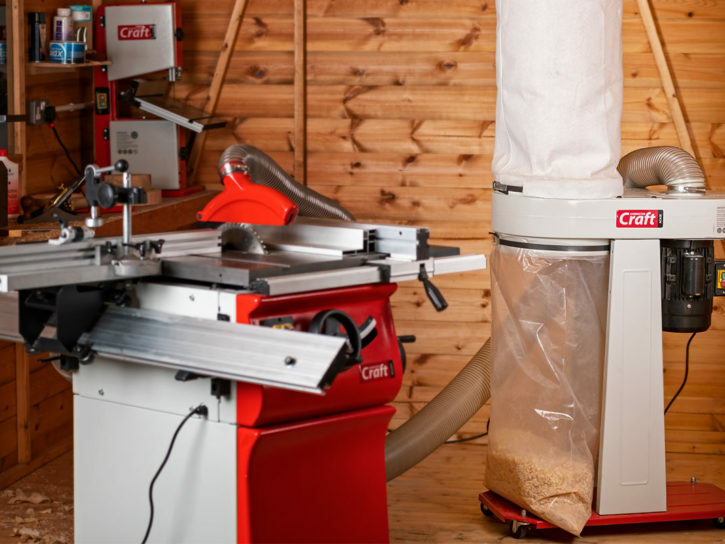 A welcome addition to any home workshop – the Craft AC200 machine is neatly designed to combine a 100mm belt and 200mm disc sander. 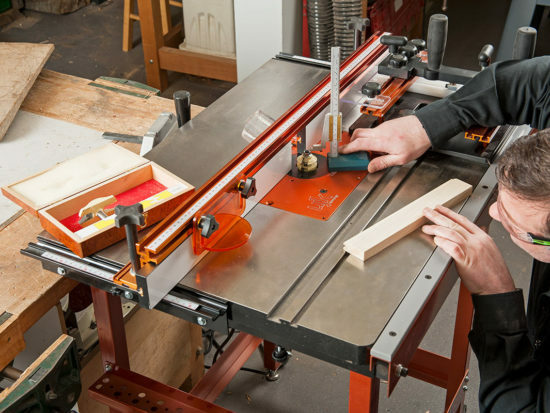 Bench mounted to take up even less space; both the disc and belt functions have a decent sized work table which tilts making it ideal for bevel work. Like all machines, a sander is only as good as the abrasives and accessories you team it with. 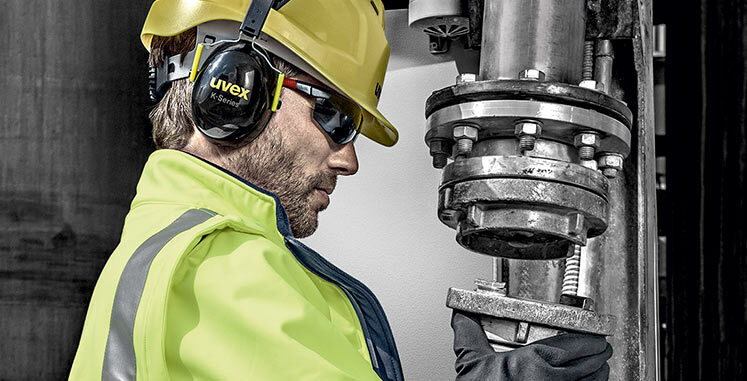 But we also understand the finish you want to achieve is personal and therefore list an extensive range of abrasive types and grits to ensure you get the finish you want. Prolong the life of your belt and disc sanders with this abrasive cleaning stick. Simply apply the cleaning stick gently to the moving abrasive and it cleans the belt almost like new! Extraction is paramount with any woodwork machine, especially a sander. The specks of dust which are often expelled by the process of sanding are incredibly fine and not always visible – find out more about the dust extractors we have to offer. Want a silky smooth finish? If you’re looking for an ultra-fine finish for your workpiece, you’re going to need a power sander. Read this helpful guide to learn more about the different style sanders we have available. 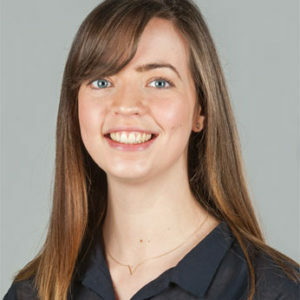 3Make It In March Competition 2019 – Winner Announced!